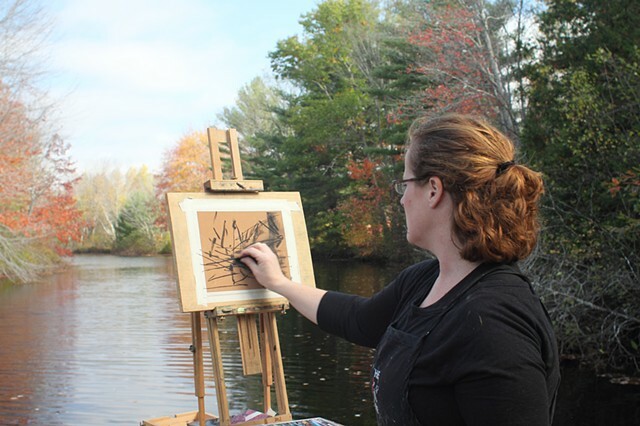 Kay Sullivan is a Maine based artist whose work from nature reflects time's passing: its rhythms, cycles, seasons. Kay received her MFA from the Pennsylvania Academy of the Fine Arts in Philadelphia, PA, and is a juried member of the Pastel Society of America. Her work has been exhibited in numerous juried and group shows, and is held in private collections across the country. Kay lives in rural Maine with her husband and daughter.